Imagine you’ve been saving money for the down payment on your first home. You and your significant other have been watching the listings like anxious hawks. Your real estate agent has begrudgingly put up with showing you house after house after house for months on end. Then you find the one. It’s beautiful. It has the number of bedrooms you want, the perfect landscaping, its in a great neighborhood, and the school system is phenomenal. You tour the house, crunch the numbers, see it again, and finally decide this is it. This is the one. You put in an offer and after a tense, nerve wracking round of negotiations you agree on a price with the seller. It’s going to be tight — you’ve saved up just enough for the down payment — but the deal is done. Your mortgage company hires an appraiser who goes out to value your home in comparison to the homes around it that have sold recently. Even after all the tense work of finding the house, putting an offer on it, and getting through negotiations… your home purchase or sale can still be ruined by one simple event: a lower than expected home appraisal. The irony is that a low home appraisal is exactly why the bank hired an appraisal in the first place. Banks don’t want to lend money on homes for more than they are worth. They did that recently and got burned in the housing bust. For the economy, a low home appraisal is a good thing because it keeps home values from being artificially inflated. Of course the bad news is it can cost you your home purchase or sale. Imagine you are looking to buy a $165,000 home. You’ve saved up 20% of the purchase price ($33,000). The appraisal comes back at $157,000. In this situation, your bank isn’t going to let you finance at the higher value. The value they consider them home is $157,000. The good news is the down payment is lowered by $1,600. 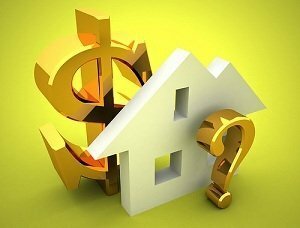 The bad news is either you, the seller, or a combination of the two have to come up with the difference (e.g., $8,000) in order to close the deal. If the seller doesn’t want to lose any more money on the house you would have to come up with the extra cash or have the deal canceled. With all of the emotions involved it can be hard to stomach doing that. In some low appraisal situations there isn’t much you can do unless you can bring extra cash to closing. But in some instances you can fight back and win. You need to ask for an adjustment from the appraiser. There are two ways to do this: the first is where you call, crying and screaming, and curse the day the appraiser was born. You won’t have much success. Alternatively you can be polite and provide solid documentation that supports your argument that the home’s value was appraised incorrectly. Put It In Writing: Never trust these types of issues to a phone conversation. You need to provide well documented evidence in writing. Make No Demands: You can’t force the appraiser to adjust the value, and as with most things where you are trying to get your way, the more polite and professional you can be, the better. Always state things as a question of why an adjustment wasn’t made for a particular issue. Provide Better Documentation: Evidence is the key to successfully getting an adjustment on the appraisal. If some of the comps used were foreclosures or short sales that sold relatively quickly at rock bottom prices, ask why this wasn’t adjusted for. If one of the properties backs up to a highway or a railroad track and your home has a luxurious, quiet back yard, ask why an adjustment wasn’t made. If one of the comp properties has basic amenities and your home has thousands of dollars in upgrades like granite, ask why an adjustment wasn’t made. At the end of the day you still may not win an adjustment on the appraisal, but you greatly increase your odds of a successful adjustment by using these tips. I just had my house appraised for $70,000 under agreed sale price. Its a nightmare and i blame the appraiser for not doing his homework. In today’s market, this happens quite often. An appraisal has comps or comparables which shows the recent sales of similar homes within a certain distance. These comps help determine the value for the appraisal and then upgrades are taken into consideration. I saw this begin to happen back in 2007. @Cherleen – I think appraised value not coming in at the sales price is uncommon. I don’t think it always lower than the real value of the home. This kind of scenario should be expected when buying a house. For some unknown reason, banks do not allow borrowers to get a loan at the equivalent value of the home they would like to purchase; hence, the appraised value is always lower than the real value of the home. Wow! I never would have thought about this scenario. Have you met someone where this happened? What did they do?